Online Wealth Hub for Lifestyle Entrepreneurs and Social Media Marketers. Get tips on online income opportunities and social media marketing tactics to build your brand and earn profits from anywhere in the world! 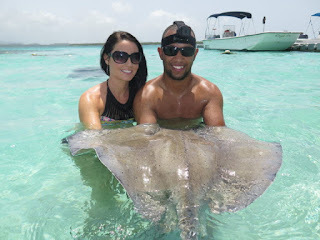 We’ve been traveling the world for the past 4 years, working from our laptops and designing our life on our terms! is a social media marketer and digital nomad living in Antigua & Barbuda. 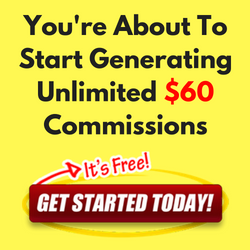 She began her online journey back in 2009 after being inspired by seeing a friend generate six figures through her own home-based business. Originally from Columbus, Ohio Anji worked as an esthetician and makeup artist for 8 years, owning her own salon for 6 of those years. After becoming burnt out with running a traditional business she jumped into network marketing and closed the doors of her salon. Shortly after that she quickly accumulated $30,000 in debt and had to sell off all of her belongings to fund her business. Fast forward to 2017, she was able to pay off all that debt and earn six figures per year while living out her dream, traveling the caribbean. None of this would be possible without acquiring the skills of internet marketing and using social media to build her business. is a digital product creator, email marketing expert and digital nomad also living in Antigua & Barbuda. He began his online journey in 2012 after the recession hit the UK and his landscape business took a dive. Many late nights online trying to crack the wifi-wealth code led him to meeting Anji who became his first mentor. After this meeting he quickly reached six figures and went on to receive coaching from a mutli-millionaire product launch expert. Together with their combined knowledge and different strengths, this a partnership for the books. 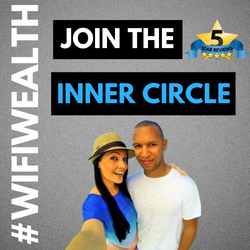 Wifi Wealth is the hub where they share their greatest knowledge of making money online from anywhere there is a wifi connection! Check out our recommended income opportunity under the ‘3 Step Wealth Formula’ tab to get started earning with us! 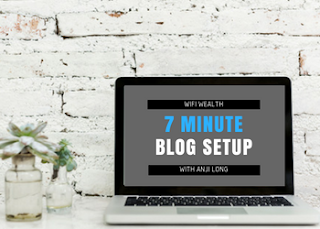 Or simply visit the site weekly for new tips under the ‘Wifi Wealth Hub’… And of course join in our movement on social media by sharing our inspirational images. When you’re down and out, there is a better way! When you’re over worked, there is a better way! When you’re under paid, there is a better way! All You Need Is Wifi & A Dream.